Written by guest author Ganesh Rengaswamy (investor, entrepreneur & Venture Advisor at Unitus Ventures (formerly Unitus Seed Fund)). Wikipedia described an Advisory Board as a body that advises the management of an organization. Unlike the Board, the advisory board does not have authority to vote on corporate matters, nor a legal fiduciary responsibility. Businesses choose to have advisory boards in order to benefit from the knowledge of others with deeply relevant expertise, without the expense or formality of the Board of Directors. The Board part of the title is a misnomer! This is because Advisory Boards don’t necessarily meet … as a Board. Rather they are mostly all one-on-one bilateral relationships with the CEO. Why does a start-up need it? What’s the role? Start-ups of all types can benefit from teaming with the kind of people who can help them scale and grow the business. Many times entrepreneurs can get myopic by just trying to get their business off the ground, and they forget to look at the big picture. Your advisors won’t, and they also become your advocates and network on your behalf. 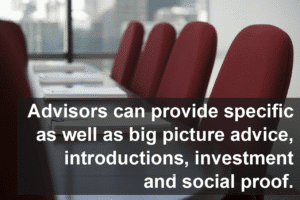 Advisors can provide specific/big picture advice, introductions, investment, and social proof. Any combination of these is useful, except for an advisor who just provides social proof. All advisors, if they are very good at what they do, would have high quality networks. So, don’t hire an advisor just for the network – there are less expensive ways to get introductions. When should you put together an Advisory Board? Advisory Board can be instituted at any point in time in company’s lifecycle. Start-ups should be on the lookout for right advisors all the time but the right time is when the start-up has clarity on advisory needs and is ready to make the commitment to work with the advisor to learn and measure improvements. And it’s advisable to take on advisors in phases in order to induct them appropriately. Typically a good time to start considering an advisory board is in the 2nd half of the 1st year of business. How to build a Board of Advisors? Conduct an honest skills assessment of yourself and your senior management team (if you have one), and figure out where the holes are. If you know what your goals are and you know what your skills assessment looks like, there will be a gap somewhere–those are the expert advisors you’re looking for. For e.g. If you have never done sales before or managed operations or been a marketing professional or handled product development – and the start-up needs some or all of these skills – you can hire advisors to act as coach to help develop those specific skills. It is usually a 1-on-1 coach/mentor relationship of the CEO with specific advisors in relevant areas of expertise. How to leverage Advisors effectively? Ample time and thought has to be given to the exact role, responsibilities, specific functions and expectations for the advisors. The onus to deliver eventually lies with the founder and management; the advisor’s value as a sounding board, strategic, trouble-shooter and critic has to be leveraged effectively. With these expectations in place it is far easier to align with the right advisors. Also, strive to extract unconventional wisdom from your advisors that can help you differentiate every step of the way. Also, try to do a get-together or dinner with advisors 2-3 times a year to build collective camaraderie. Also, if possible always try and get an advisor to invest a small amount in the company. Don’t follow advice! Instead, learn from your advisor and apply the lessons to your company. Your advisor isn’t you: he/she doesn’t have your goals, history, or strengths and weaknesses. He doesn’t know your company like you do. So take the advice and apply it to your specific situation. This is the advisor paradox: hire advisors for good advice but don’t follow it, apply it. How do you know an advisor is good? Try before you buy. Most advice is not worthwhile. If you’re considering a prospective advisor, (i) talk to his other advisees and find out exactly what she/he’s done for them, and (ii) get some advice or introductions first. Then hire her/him if you like the results. Most worthwhile advisors will not resist this test. 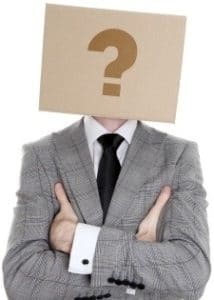 You can gauge the quality of advice by asking questions about real challenges your company is facing in their area of expertise and overall strategic level. Does the prospective advisor give you the best answers you have ever heard? Could she/he teach a course at Harvard on the topic? Would you invest in him? If no, move on. If yes, go for it! In early stages of company, Advisory Board positions are typically not compensated. These are willing supporters who do it because they have faith in and want to support the founding team. As the business expands, adding professionalism in all areas is critical. Advisory Board compensation is a matter of agreement but I would rationalize it as below. Early stage full Board members (who are not founders/VCs) typically get 1-2% of equity through options vesting over 3-4 years. An Advisory Board member will have less time commitment and no fiduciary responsibility. So, logically, something in the 0.25% – 0.75% equity vesting over 3-4 years seems fair. Having said that, advisory equity could vary from 0.25% – 5% depending on contribution of the individual and the magnitude of the expected benefit. Generally, equity compensation should only be provided for people willing to make a minimum of a 2-3 year commitments and equity will vest to ensure continued engagement of the advisor. And typically, it is advisable to avoid cash component, other than for reasonable expense reimbursement. At the early seed stage, it’s usually informal. Advisor relationships are often initially based on a verbal understanding of time commitment and responsibilities. As the business develops, having written Advisory Board contracts is the way to go. (Law firms can provide standard versions so this is not a big deal.) The contracts should have specified time commitments (at a minimum) and can include written details of what each Advisory Board member is expected to contribute, compensation, etc. 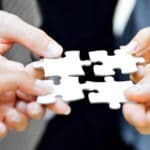 Advisors should complement the board’s activities; they should engage more deeply in specific areas where the board and management agree that the company needs certain goals to be achieved (but doesn’t know exactly what and how) and hence, domain/functional expertise is needed to accelerate the evolution of the company. Eventually the Board of Directors have to approve the plan that Advisors and management come up with. Avoid prominent people who are over-committed in their own right; 0.2 – 0.5% equity is not good enough incentive to get someone’s focused attention unless they have an inherent enthusiasm for what the start-up is doing. If they cannot invest the time, and are too removed, they will not be able to bring enough contextual value to the table. And the advice will be abstract and frustrating! Do not invite family or friends, because they will become yes-men for you. Watch out for folks who love listening to themselves. You want folks who listen deeply and carefully before coaching. About the author: Ganesh Rengaswamy has been on the boards of multiple start-ups and growth organizations in India & a market entry/growth advisor for various global organizations. An entrepreneurship coach, speaker and mentor at global start-up forums and several Ivy league institutions in the US and Asia, he has an MBA from Harvard Business School & a PGDM from IIM Calcutta. Ganesh has been a venture investor and impact investor in Silicon Valley and Asia, leading investments at leaders in rural business services, rural pre-primary education, financial inclusion, and electronic payments processor. In a previous avatar he had a successful stint as an entrepreneur, co-founding Travelguru.com, the largest online hotels consolidator in South Asia, which was later acquired by Travelocity. Ganesh is a Venture Advisor at Unitus Ventures (formerly Unitus Seed Fund) where he lends his expertise to help support the portfolio’s growth & success.